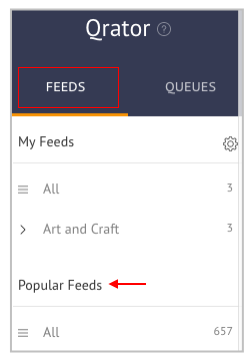 What are Popular Feeds and how can I use them? Social media success and engaging content go hand in hand. One isn't quite possible without the other. But at the same time, we understand that finding this content is by no means easy. Which is why our content team along with the social media team put together a list of over 650 blogs / Pinterest boards. These have been hand-picked to suit online sellers. When you choose Q-rator in the Marketing tab, you'll land on Feeds. Scroll down to Popular Feeds and let the fun begin. We wanted to make it extremely simple to discover content. 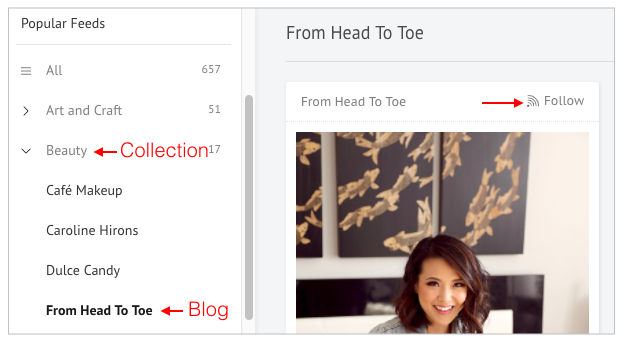 Blogs and Pinterest boards have been categorized into Collections. Collection is a way to group similar content sources. Choose the Collection that you like and then the content source. When you choose a particular content source, you'll see the posts from that source in the right column. 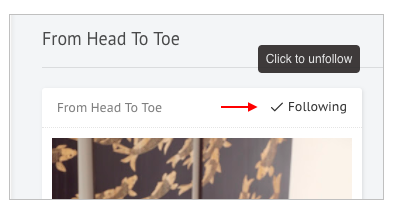 You can follow a source by simply clicking on Follow in the top-right corner of an article from it. You'll be asked to add it to a Collection. Add it to an existing Collection or create a new one. But what if, you want to unfollow a source? That's super-easy too. Scroll up to My Feeds and then to the relevant Collection. Go to the content source that you want to unfollow and click on Following on any of the articles from it. That feed will be unfollowed.